Who wouldn't want this lovely pie crusted hosta in their garden? The leaves are deeply veined and shiny grey green. Hosta 'Niagara Falls' also has a very upright shape, holding it's leaves up high. It's not a fast growing hosta, at least in my garden, but a mature version is definitely worth the wait. Pair this hosta with golds, blues, chartreuse, and white variegated hostas. 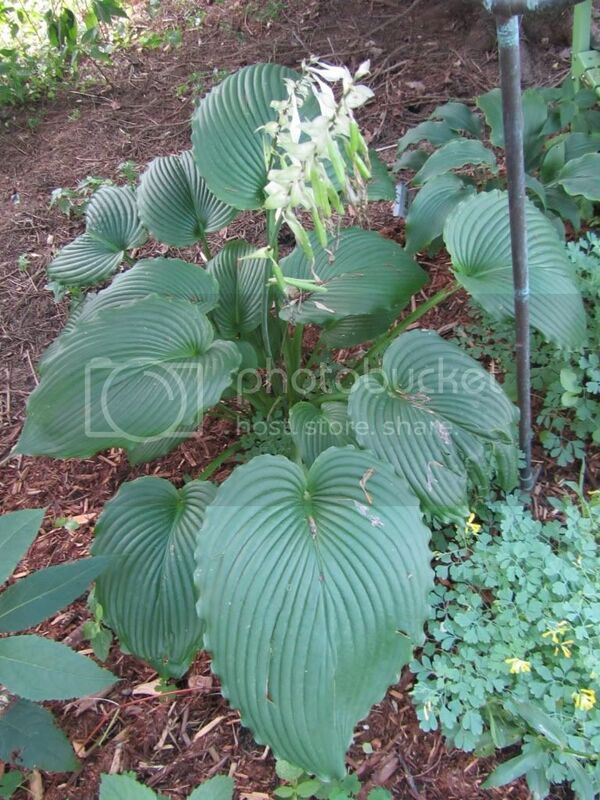 It would also make a great centerpiece hosta, as it will gather lots of attention.